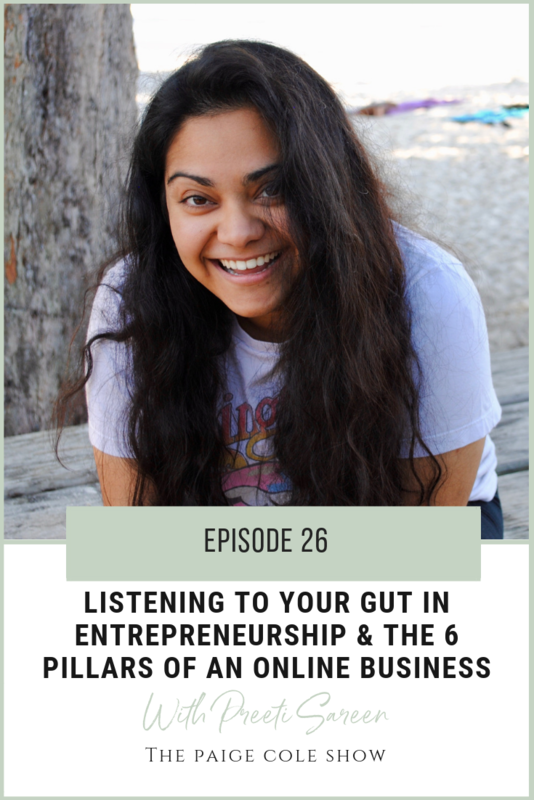 Preeti Sareen is a holistic life + business coach on a mission to help others unleash their unique inner magic. Through her digital courses + programs, she teaches women how to create a custom life + business infused with more purpose, freedom, and abundance. After realizing her dream path to medical school wasn’t really her true desire, she switched gears and started side-hustling + freelancing before starting her first online business as a copywriter. Through much inner work + a personal journey she couldn’t have predicted, she’s transitioned away from that business to focus on growing her impact with her coaching practice today.